hitodama 人玉 spirit of a dead person, "soul flame"
In Japanese folklore, Hitodama (Japanese 人魂; meaning "human soul") are balls of fire that mainly float in the middle of night. They are said to be "souls of the dead that have separated from their bodies," which is where their name comes from. you would naturally think of it as the sorrow on a rainy night. They are frequently confused with onibi and kitsunebi, but since hitodama are considered to be the "appearance of souls that have left the body and fly through the air," they are strictly speaking a different general idea. there are common features throughout Japan, but some differences could also be seen depending on the area. They fly crawling along at an elevation that is not very high. They have a color that is blue, orange, or red, and also have a tail, but it can either be short or long. There are also a few that have been seen during daytime. 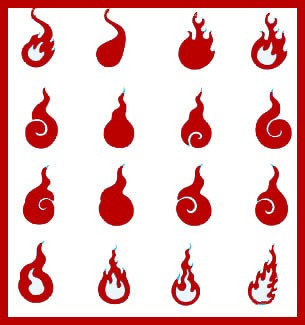 hitodama are called "tamagai", and in Nakijin, they are said to appear before a child is born and in some areas are also said to be mysterious flames that drive off humans to death. (now Yachimata), hitodama are called "tamase," and are said to come out of the body 2 or 3 days after a human dies, and go toward temples or people they have a deep relation with and are said to make a great sound in storm shutters and gardens, but it is said that this sound can only be heard by those who have a deep relation with the spirit. Also, for those who have not seen a tamase by the time they are 28 years of age, a tamase would come towards them saying "let's meet, let's meet (aimashou, aimashou)" so even those who have not seen one when they are 28 years old will pretend to have seen one.
. ryuutoo 龍燈 / 龍灯 / 竜灯 と伝説 Legends about Ryuto, "Dragon Lantern" . On the last day of the Old Year people can see many soul fires hovering over the waves in the sea. Sometimes there are more soul fires on the other side of the bay, sometimes they come together and over around. Eventually they disappear at the Shrine 常宮神社 Jogu Jinja. The Dragon, an incarnation of 海神 Watatsumi, the Deity of the Sea, is said to become a female and go to meet its male counterpart.
. meido めいど【冥土 / 冥途】 the Netherworld, underworld . A bluish-white fireball 火の玉 fell down to the ground near a Zelkova tree. 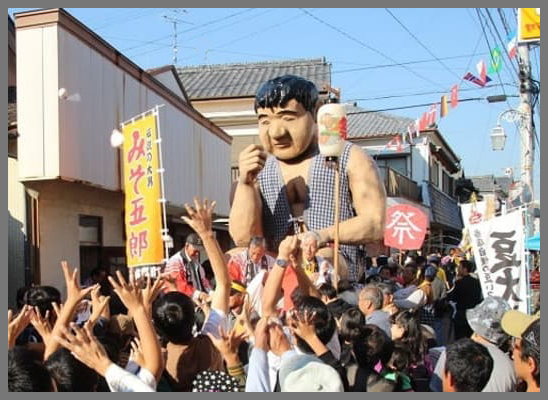 The local folks called this tamase タマセ（魂) (tamashi) a soul.
. hitodama 人玉 spirit of a dead person, "soul flame" . If there is a death in the family, another blood relative will be sure to see the Tamabi leave the house.
. Tales from temple 本門寺 Honmon-Ji . The act of communicating or channeling spirits in special rituals. Kitō are magico-religious invocations of the powers of a wide range of Shintō and Buddhist deities in hope of divine favor or protection. The ritual is also referred to as kinen, kigan, or kisei ; it also shares the same meaning as inori and nomi. In ancient times, invocations and offerings were made to shrines to request safety, good weather, and bountiful harvests throughout the realm. 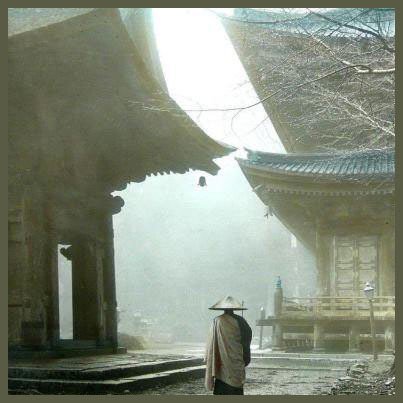 Invocations of such highly public nature formed the original purpose of Shintō worship. On the other hand, invocations made for the private benefit of individuals (shikitō and shikigan) are thought to have derived from "yin-yang exorcism" (onmyō harai) rites by ying-yang diviners (onmyōji ) in the mid-Heian period. 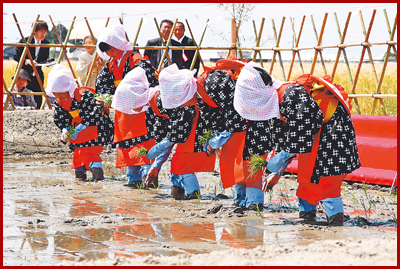 The integration of such rituals into the Shintō faith in the late Heian period has been attributed to the activities of invocation ritualists (okitōshi, o-kitōshi), who are precursors of the medieval oshi. Moreover, influenced by the practice of reaching empowerment through ritual union with the deity (kajikitō) of esoteric Buddhism and by yin-yang exorcism rites, Yoshida Shintō adapted the esoteric Buddhist goma rite and created the "Shintō goma", the "elemental Shinto ceremony" (sōgen gyōji), and a wide variety of other prayer rituals. At present, shrine priests (shinshoku) conduct shikitō and shikigan invocations for diverse aims, such as easy childbirth, recovery from illness, longevity, and the prosperity of descendants. 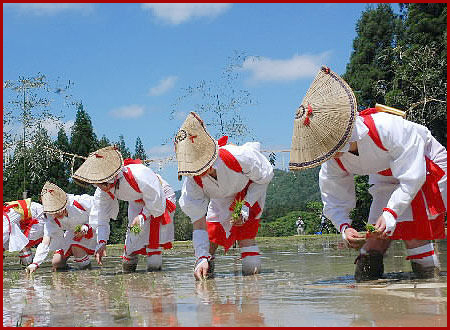 Invocation rituals that are personally performed by individuals, without the intervention of shinshoku, are popular, including the "100 pilgrimages" (hyakudo mōde; see ohyakudo), the "1,000 shrine pilgrimage" (senja mōde, see also senja fuda), and "temporary seclusion at a shrine for making an invocation" (sanrō ).
. kitoo 祈祷 is often translated as "prayer" . and some kigo for Haiku are related to it.
. Yamanokami and Shaman legends . Once on the day of 庚申 Koshin the child of a certain family did not come home at night. Three days (months) later they found some of her cloths and some hair at an old temple near 古坊 Furubo. 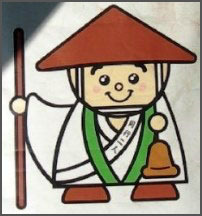 They showed them to カンパラ（祈祷師), Ganbara, a diviner at Soja. He found that キシオジン Kishiojin (the name of the deity in the local dialect) had taken her away. 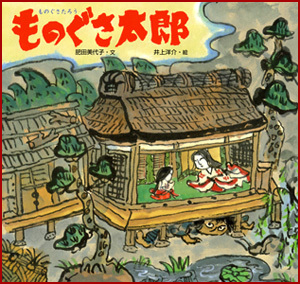 The house of her family was built along a road where the Tengu pass. Kuda, a green bamboo tube where cooked rice is kept. When people hit it, the KUDA comes out and the family where this happens will become rich and have a lot of silk worms. A home with many KUDA is blessed, but if there are too much, they will eat too much and eventually the family will become poor and its members become ill. So the family has to call for an exorcist 祈祷師, a Shinto priest, and have rituals performed.
. kudagitsune 管狐 Fox Kuda Yokai, living in bamboo tubes .
. Yamanokami is also called "Kitoshi" .
. Gaappa ガーッパ The Kappa of Nagasaki 長崎県 . 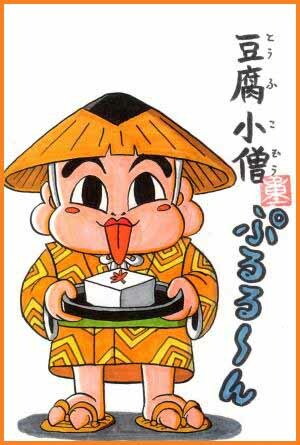 In some very rural areas there are some kind of 祈祷師 exorcists for the Kappa, Gaappa, ガーッパおとしの神さん Gaappa otoshi no kami san. They can remove a Gaappa if he possesses a human by beating the Shaman drum, swinging the ritual wand 御幣 and chanting exorcist Sutras. 河内国 Kawachi is now part of Osaka. His story is not quite clear. He was either a priest at Miidera or at the shine after which he is named, Juge Jinja. One of them was Juge So 中世日吉神社における宮籠りと樹下僧. All are located in 滋賀県 Shiga prefecture. They belong to the seven sub-shrines of 日吉大社 Hiyoshi Taisha. 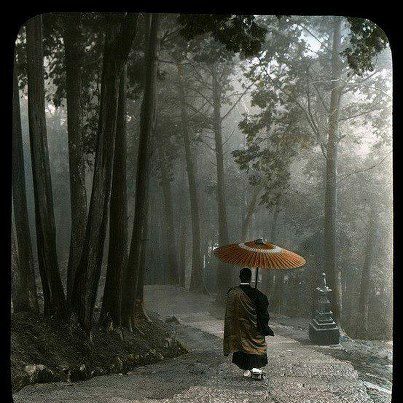 Junizenji are known in Buddhism as 地蔵菩薩 Jizo Bosatsu.
. 鴨玉依姫命 / 玉依姫命 Tamayori Hime no Mikoto . The origin of this shrine is not quite clear. 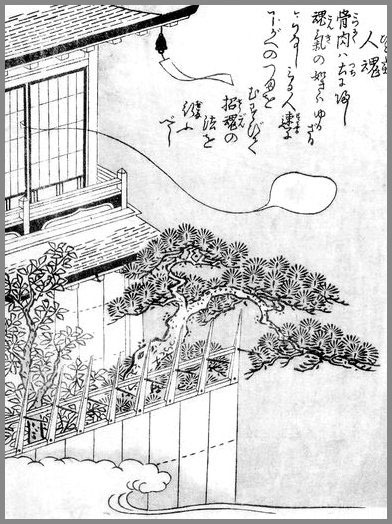 In 982, 佐々木成頼 Sasaki Nariyori ordered the construction of the 日吉十禅師 Juzenji of Hiyoshi. This shrine flourished as the protector shrine of the Sasaki clan in 近江国 Omi (now Shiga prefecture). The shrine was destructed by Oda Nobunaga, but later rebuild. 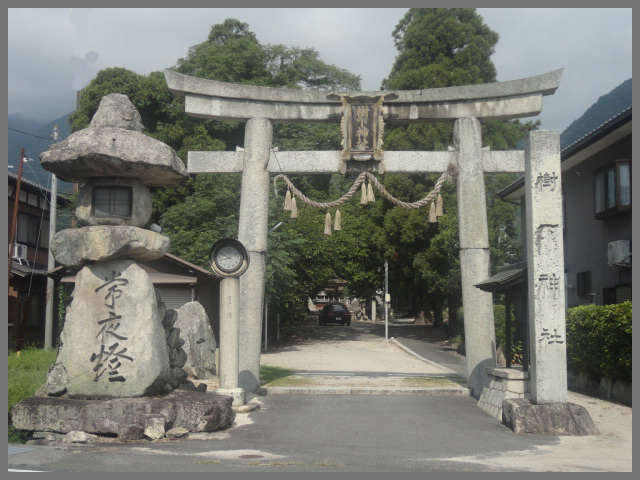 This shrine was constructed on orders of 佐野豊賢 Sano Toyokata. the regent of 木戸城 Kido castle, to protect the area and his clan. The shrine was destroyed by Oda Nobunaga and later rebuilt in 1578. Juge Jinja is a small shrine in the Higashi-Hongu area of Hiyoshi Taisha. This structure is classified as an Important Cultural Asset. 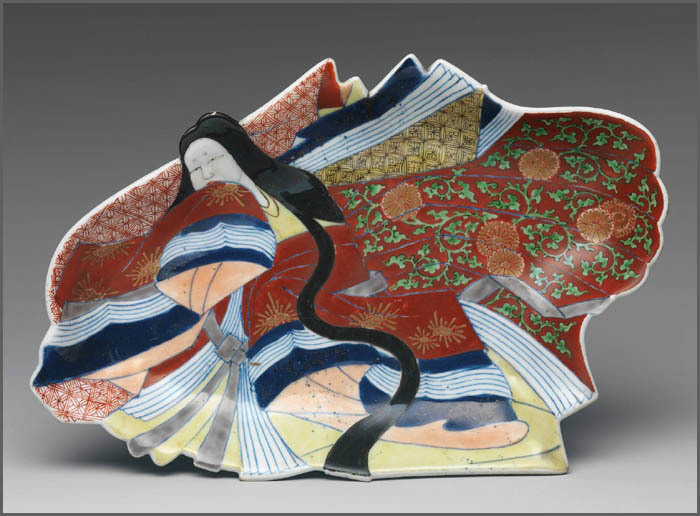 is dedicated to Sanno Gongen, the deity of Mount Hiei, and dates back to 806. 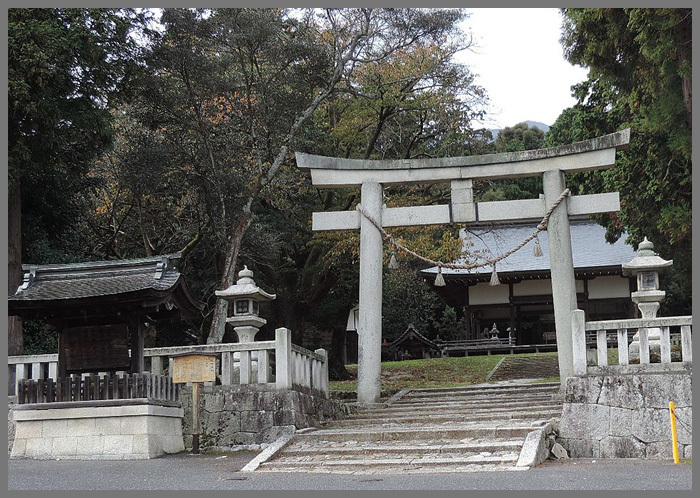 The shrine is located at the base of the mountain in Sakamoto near the shores of Lake Biwa. Because of its proximity to Hieizan, it has always been associated with Enryaku-ji. The shrine was destroyed in 1571 when Nobunaga eliminated the Enryaku-ji monks, but it was rebuilt soon after.